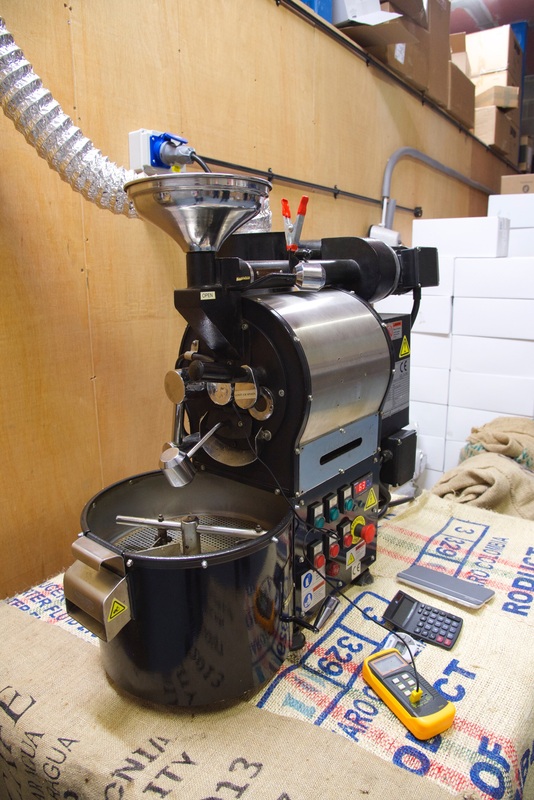 For years, Casa Espresso has built up a reputation for supplying San Remo coffee machines and coffee blends across the local area. 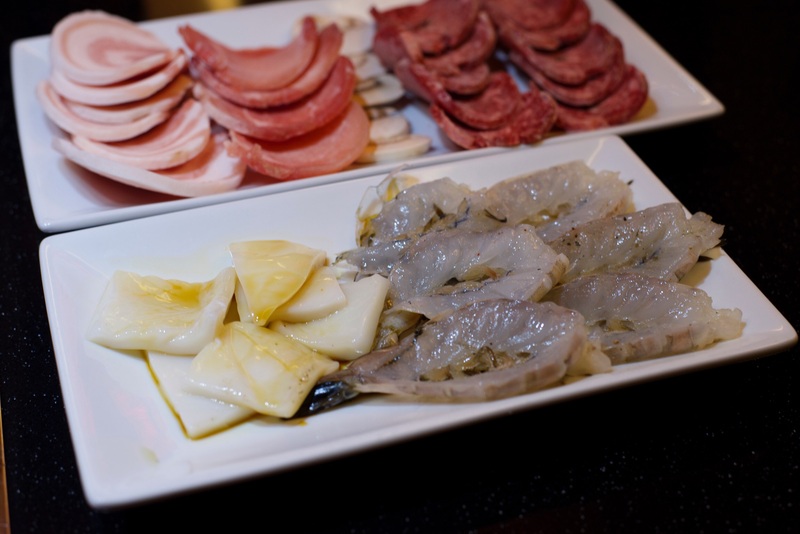 Starting with some very humble beginnings, Nino Di Rienzo was brought up in an Italian family where food and drink went hand in hand with everything! His father was a master pizza maker who’d run a pizzeria for many years, where Nino worked with him. 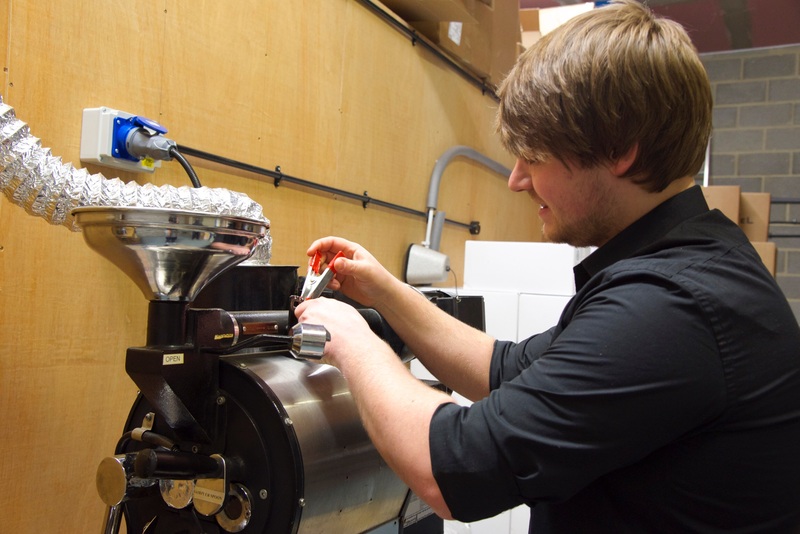 The whole coffee thing started years ago, when Nino’s father fixed a coffee machine after lots of tinkering and started to learn the ropes. Eventually going back to Naples to the San Remo factory to learn how to service their professional machines, eventually becoming their main suppliers in the North. 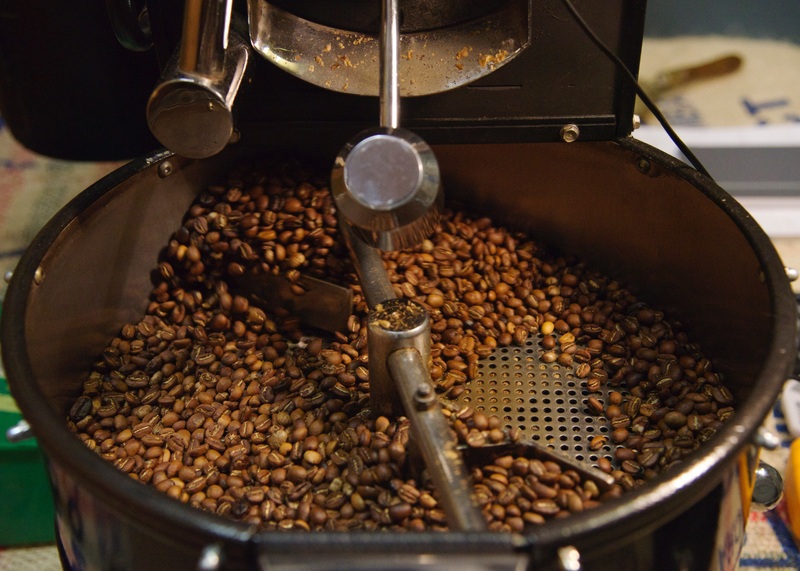 Meanwhile, there was a lot of bad coffee being made and knowing it could be down so much better Casa Espresso was born, with the aim of bringing the best machines and coffee to the area. Since then the business has built a reputation for their professionalism, knowledge and excellent customer service. 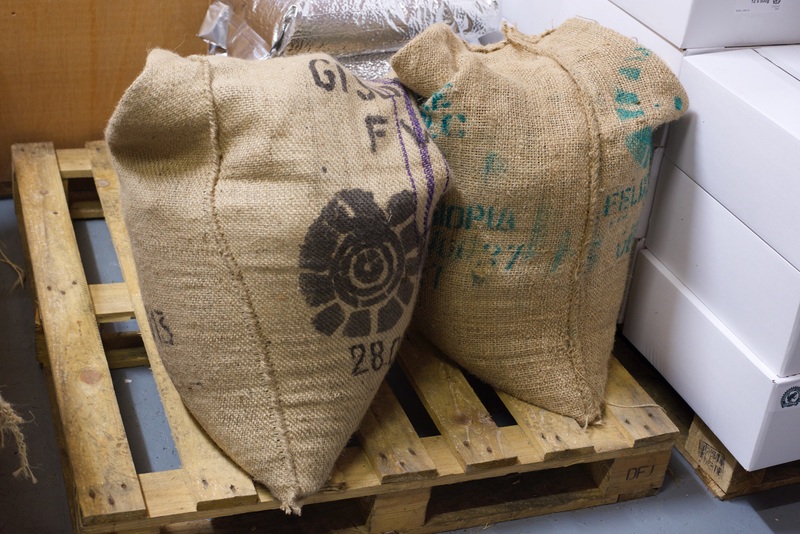 Recently they wanted to expand the service they provide and started batch roasting their own beans, making them possibly Bradford’s first micro roasters. 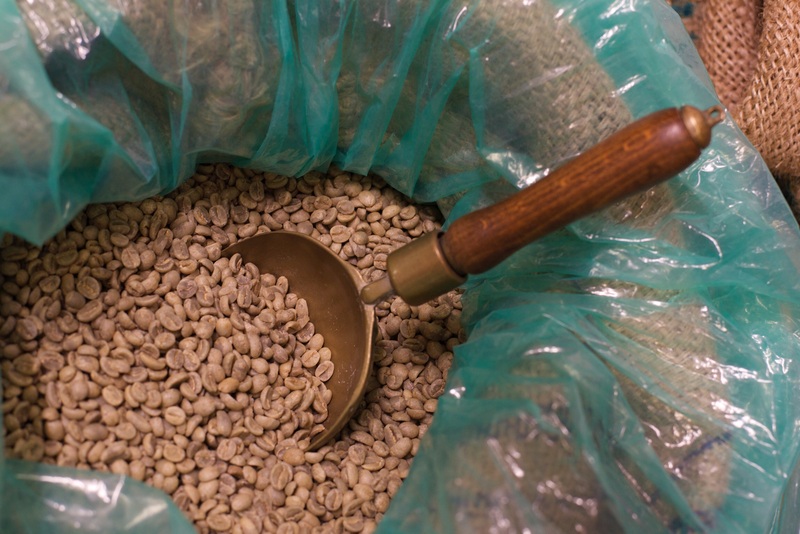 Using Falcon Coffee, Harrogate speciality coffee importers they currently have a selection of single origin beans; an Ethiopian, Nicaraguan and a Rwandan, all of which are extremely good, the Rwandan is particularly special!! 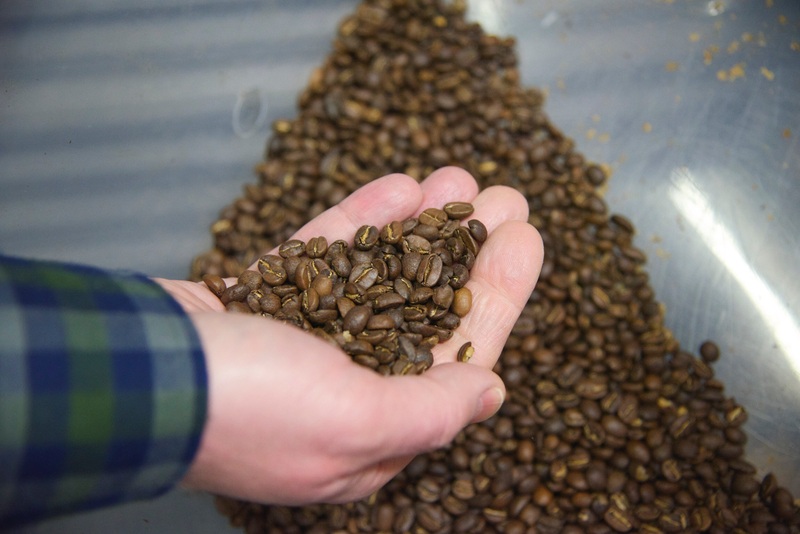 Expertly roasted by Jonny Drake, who’s been working wonders with the machine, they’re on the books at a number of local cafes and coffee shops in and around the local area. 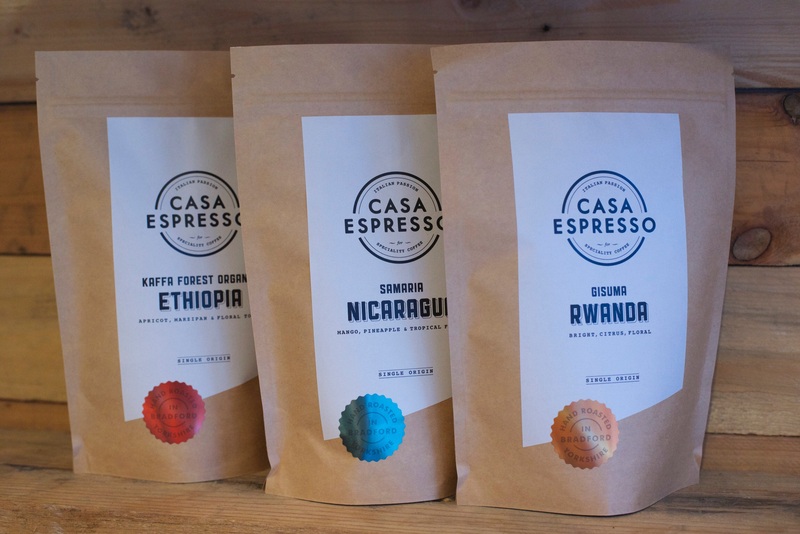 Casa Espresso’s coffee can be bought directly from them, or you may prefer to visit one of these local establishments where it can be bought or enjoyed at your leisure – Shipley Health Store, Buonissimo Deli and Record Cafe (Bradford), Moo’d Cereal House (Leeds), Gusto Italiano (Leeds farmers markets) and a little further afield at The Brew Mill (Bridlington)!! 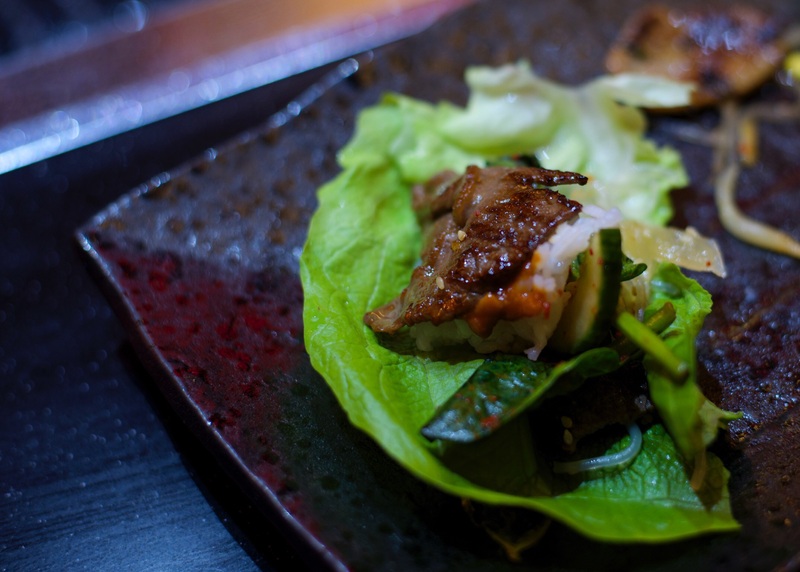 Meat Free Week – where to dine out? Every week there seems to be ‘week’ for one thing or another, recently it was Pie Week, today is the start of Meat Free Week! 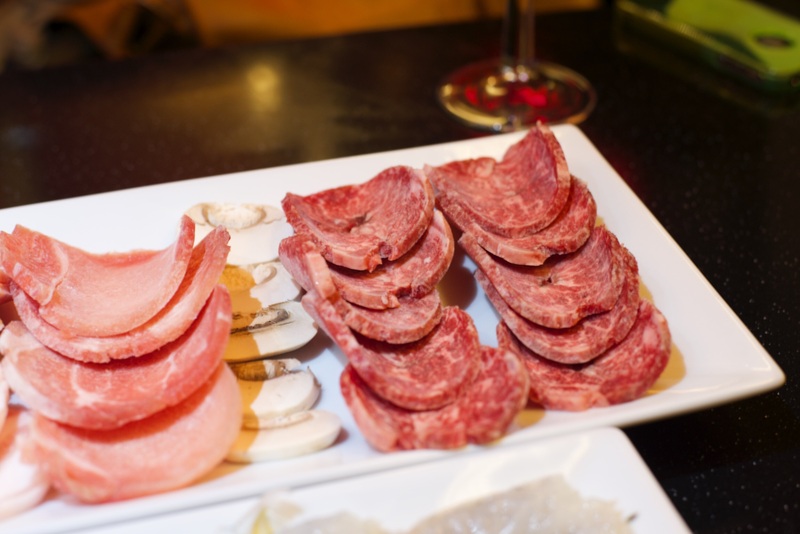 The primary aim is to get people thinking about meat intake and its impacts, not just on health and well being, but also all meat products, whether animals or processed products and finally environmental issues. 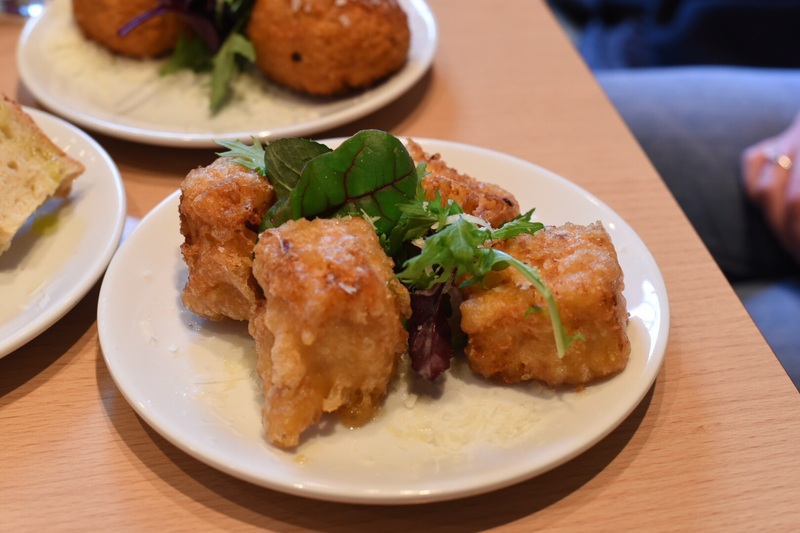 There’s shed loads of great meat free recipes on the internet for those of you nifty cooks out there, but if you fancy eating out Leeds possesses some fantastic spots producing delicious meat-free dishes. Fancy taking up the challenge? It starts today 23rd – 29th March! 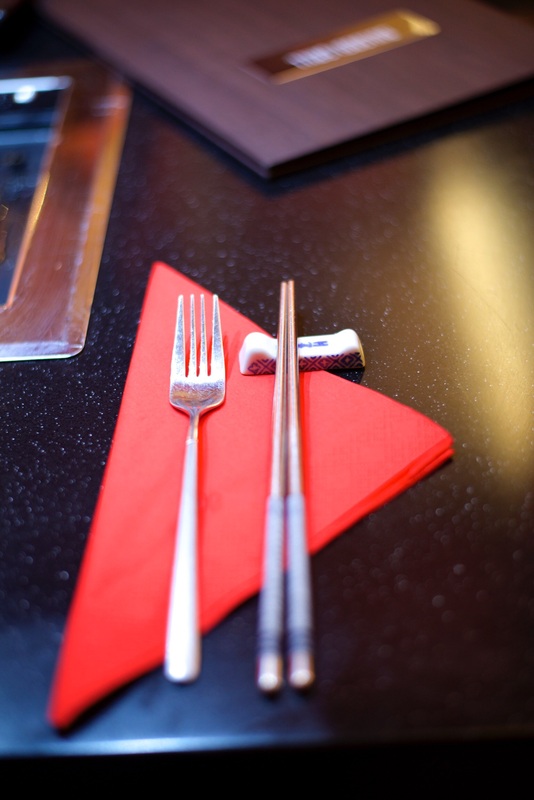 Prashad – award winning Gujarati restaurant originally based in Bradford. 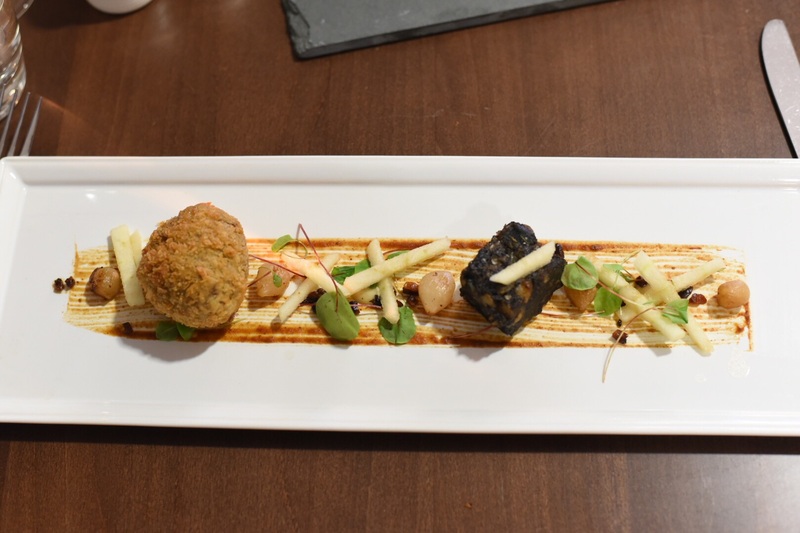 Initially finding fame from their work with Gordon Ramsey, Prashad have built on this and then some moving to a new premises in Drighlington. 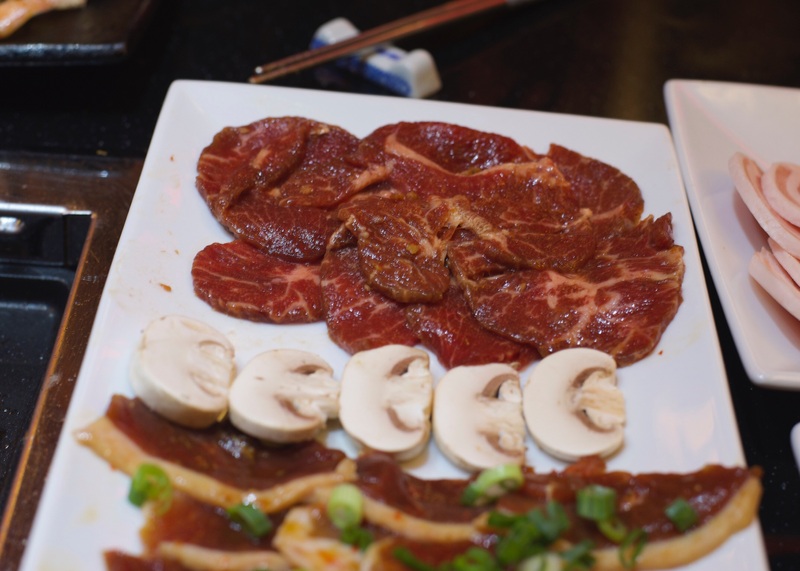 Great for me, as it’s very near my house, but don’t let the out of town location deter you, it’s well worth a little jaunt, and even being an ardent meat lover I don’t miss it when I eat here. Their Masala Dosa’s are a sight for sore eyes, trust me it’s in a good way! The Grub & Grog Shop at Northern Monk Refectory – one of the current breed of hot spots to eat in the city. Jim and Dan, the team behind this venture have wowed us with their food and drinks for quite a while now, since opening up a permanent base in town have a received amazing reviews and these are all well deserved!! Their menu is thoughtful, seasonal, using as much locally sourced produce as possible to create a menu that is mostly vegan or vegetarian. Anyone can eat well with no problems whether it be breakfast, lunch or dinner….oooh think homemade crumpets, kohlrabi fritters and finally homemade spelt pasta with Shiitake mushrooms, greens and chilli. Bundobust – in a similar vein to The Grub & Grog Shop, Bundobust have been examples of independent trailblazers over the last year. Seducing people with their Gujarati street food and ales to match, on a personal note their food’s been hard to resist!! There’s a lot to love on the menu, my faves – bhaji bhaji, egg bhurji, veg rice dry fry (there are others too, but the list would go on for a bit!!). 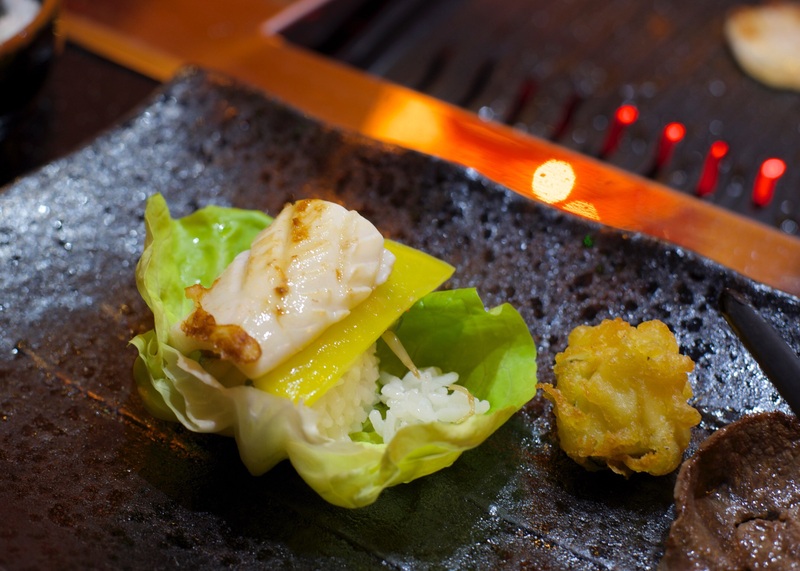 Well there’s three to get you started, I’d love to know the places you rate serving fantastic meat-free food!! Part of the challenge of Meat Free Week is to raise money for good causes, including Beating Bowel Cancer, Compassion in World Farming and World Land Trust and Meat Free Week, if you want to get involved and take up the challenge click on the link below. Featured image logo courtesy of Meat Free Week. The day job as a high school teacher has allowed me to encourage students to figure out their future aspirations for their life post-16. Some with ambitions of working in the hospitality and catering industry go on to college courses at Wakefield College, to follow their dreams and fulfil their potential, all with the aim of being the best chefs they can be. For somebody who never really knew what they wanted to do or be as a 15/16 year old, or even now for that matter it’s something I really admire!! So I’ve often wondered about Leeds students and what provision there was for those. I heard about The Food Academy a few years ago, but by the time I cottoned on to going, it had moved! Relocating in 2013, it moved out of the the city centre to a new site with fantastic facilities on Hunslet Road in the Printworks. Leeds City College Food Academy shares many parallels with Wakefield College, with its own training restaurant where menus are designed, prepared, cooked and served by its students. 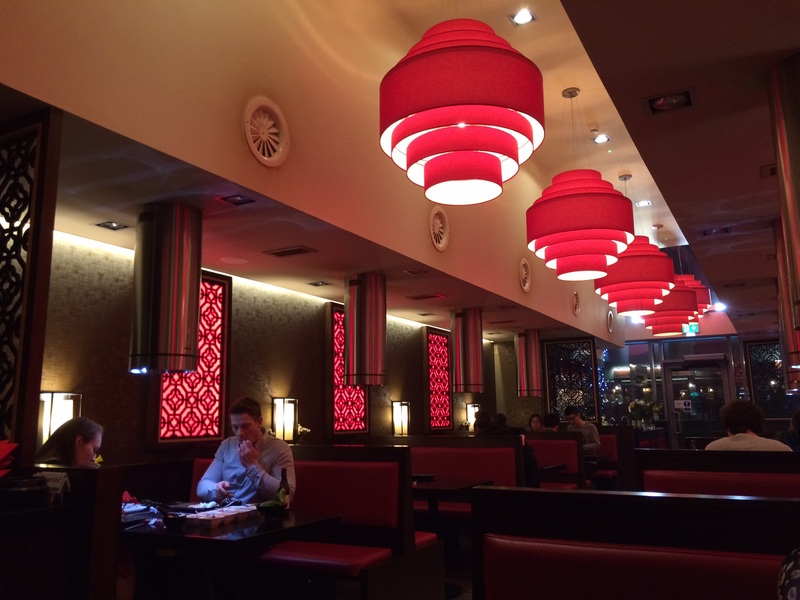 Being intrigued, my friend and I went for dinner there last week. On arrival we were introduced to our server for the evening Sasha, one of the students learning the ropes both in the kitchen and on the restaurant floor. Their students are discretely kept an eye on from a distance by tutors, so we could accept that every now and again, they may be given pointers on what to do during service etc. 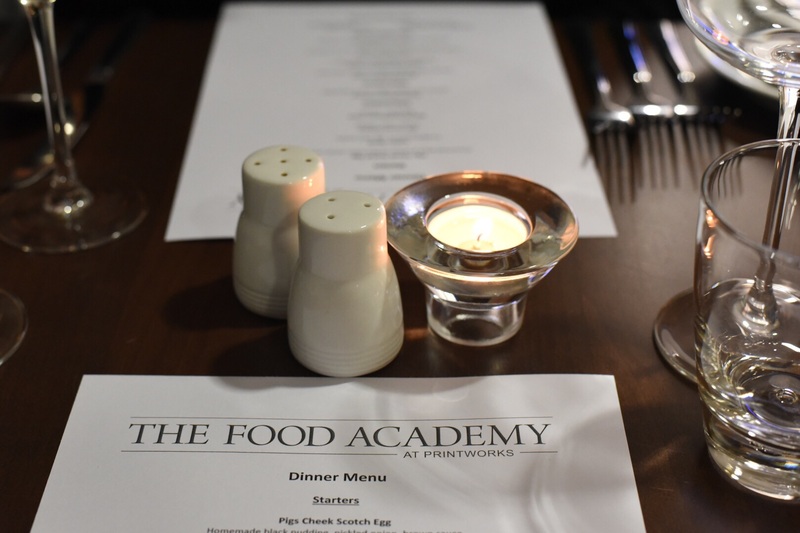 As far as the food goes, The Food Academy offers a four course menu at £18, yep, just £18!! 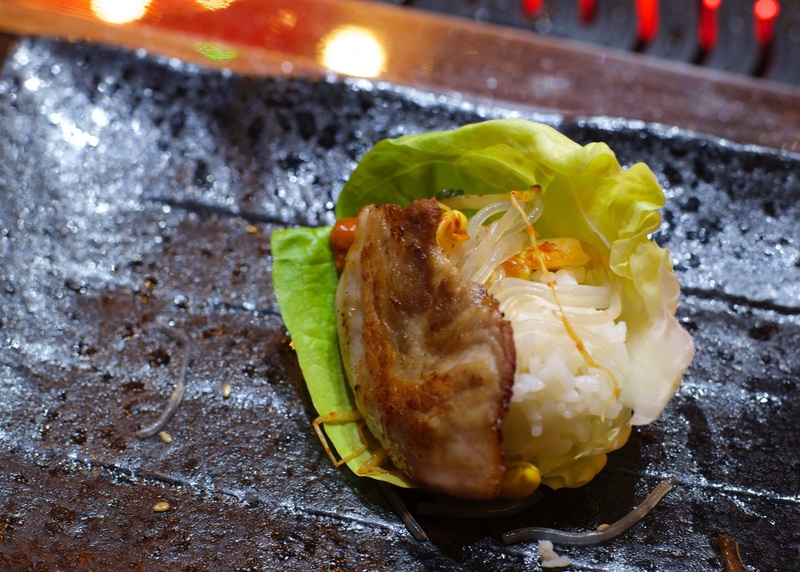 I have to admit I was surprised at the price and it had crossed my mind if our experience would be a reflection of this, especially as anything near that price is virtually unheard of if you want fine dining in and around the city. 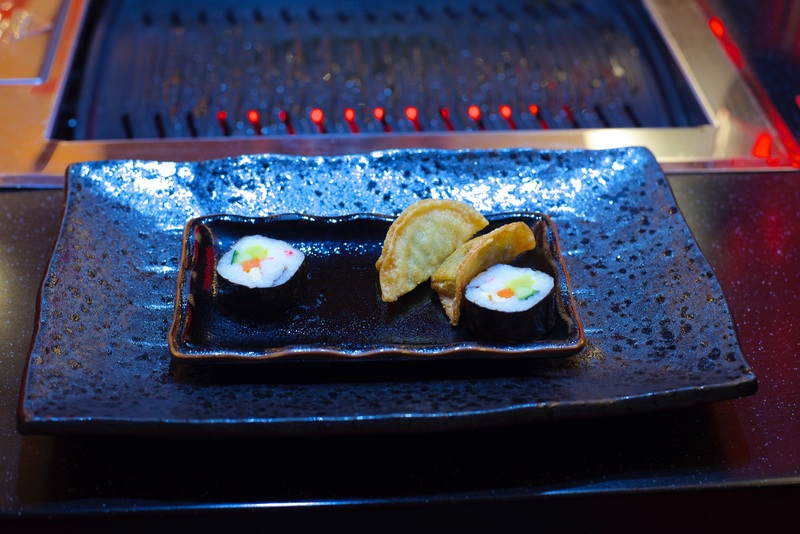 The menu had quite a few enticing dishes with four choices for all courses apart than the intermediate, so decision making was less than straightforward. 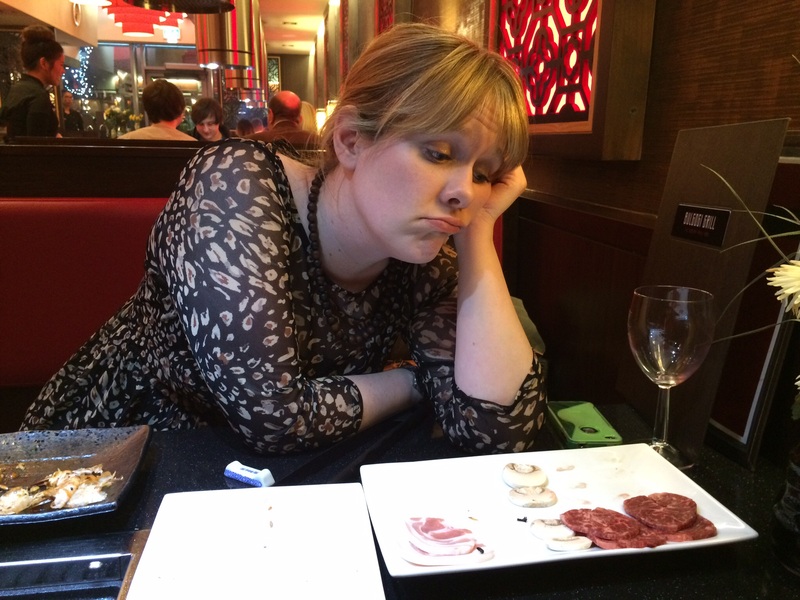 But we managed to reduce any stresses by swiftly ordered wine whilst pursuing our options (isn’t it a hardship!). 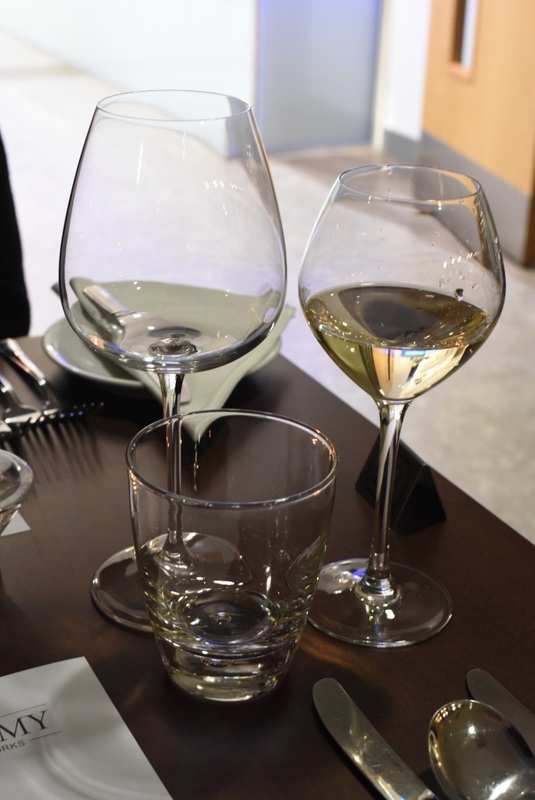 Their wine list showed a varied selection with lots of scope on price, from which we chose a mid-priced Viognier that was full of floral notes and even though I’m hardly a wine connoisseur, I thought it was a pretty good choice! All the while it was great that Sasha was happy to chat, evidently passionate about the course, we found her welcoming, friendly and she made us feel at ease in no time. Having noticed students using facilities fully decked out for baking and patisserie, it wasn’t a surprise to be brought out bread baked on site. 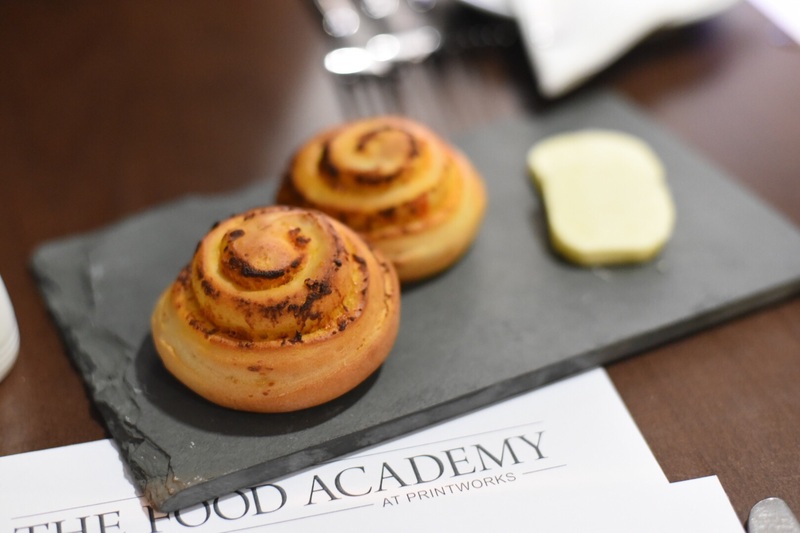 Some tomato and cheese bread roll swirls served just warm with salted butter; they were light, soft and tasty so lasted just a few minutes. 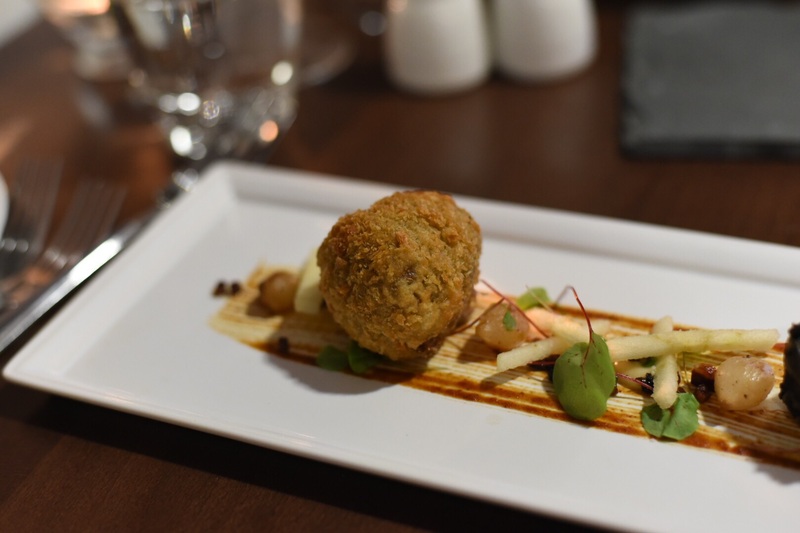 To start with we were brought pigs cheek scotch egg with extras, it looked fantastic and on paper had all the elements of a fantastic dish. Cutting into the egg first, where its golden brown crust gave way to flavourful soft meat and a small egg. The egg was just over runny, which was a shame, but I can imagine how difficult it is to do when the egg’s so small. 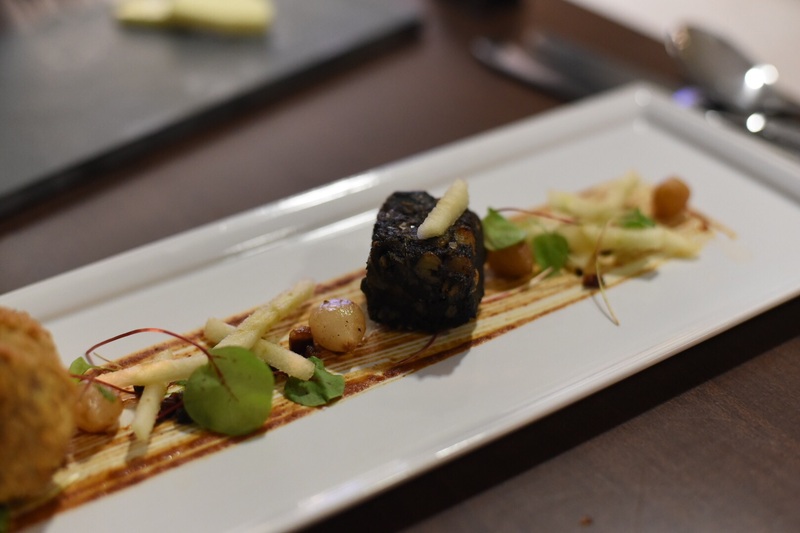 On taste it was excellent, lovely and savoury, complemented by the surrounding elements; pickled onions and apple provided sharpness, the home made black pudding whilst soft in its texture was rich and earthy in taste. 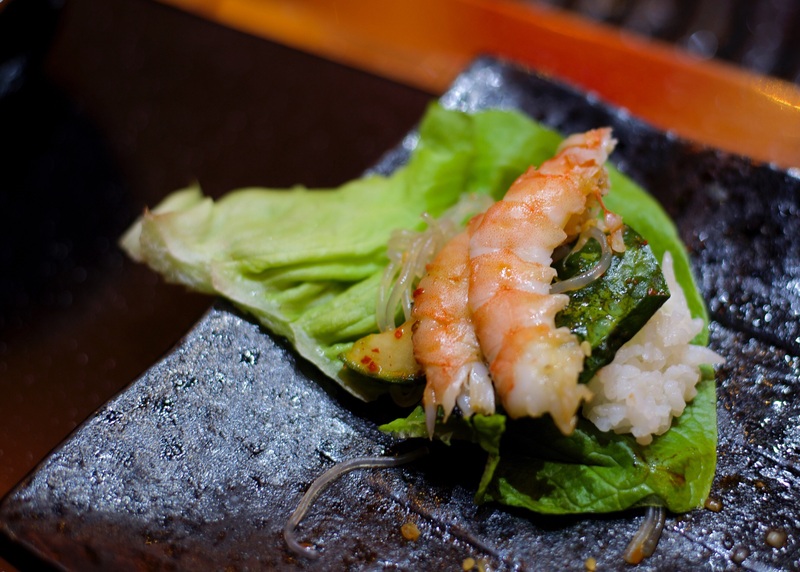 It was one of those starters you try to eat slowly to savour, but you just know there’s no chance of that happening! 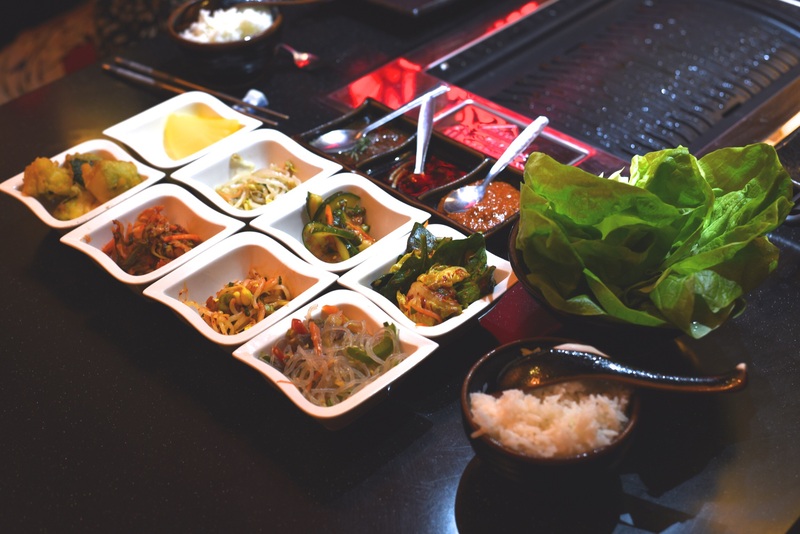 As presentation goes, it was aesthetically beautiful, but I’m a bit fussy when it comes to serving ware, with really long plates and cutlery it was a bit of a tight squeeze, but that didn’t detract from the food as it was very good. 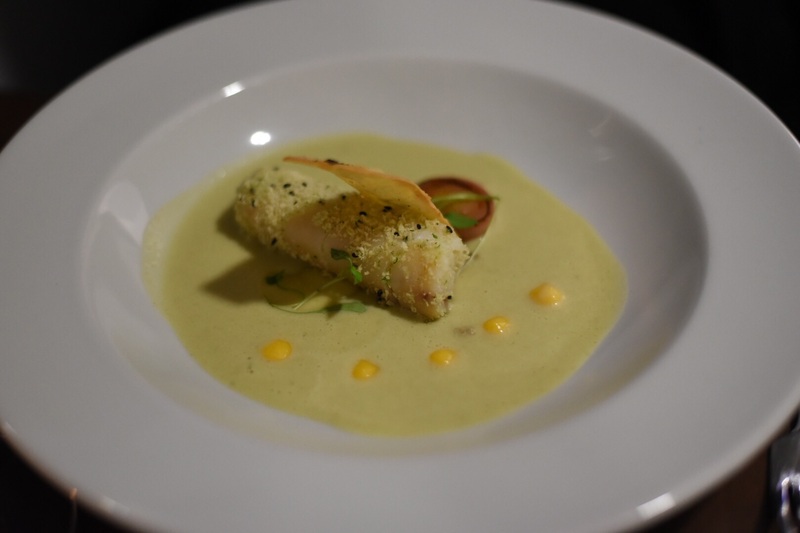 Next up was an intermediate course, which I’m assuming acted as a palate cleanser. 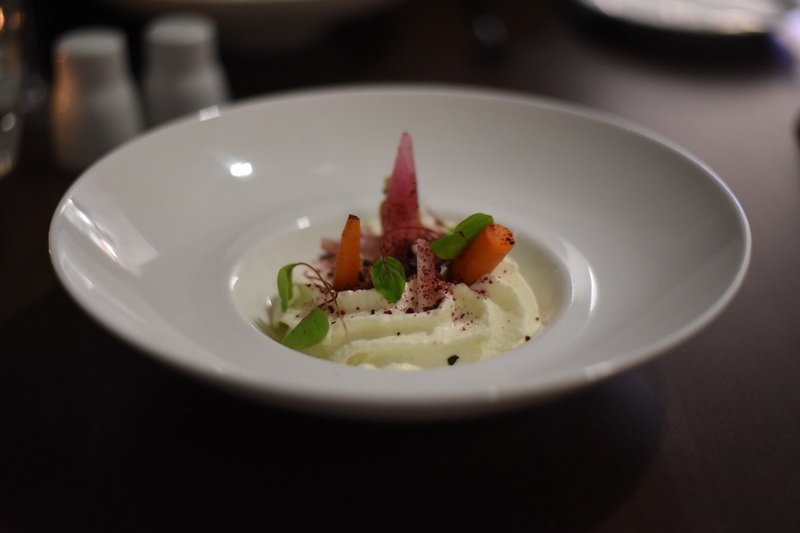 Here we had a rather large goats cheese espuma, served with a chicory marmalade, radish and young vegetables. I have to admit we both struggled with this dish, neither of us are goats cheese fans and for me personally even though it’s goatiness wasn’t as strong as I’d normally expect, it was still strong enough. I don’t normally speak negatively when portion sizes are on the big size, but in this case it could’ve been slimmed down slightly as it was pretty generous. 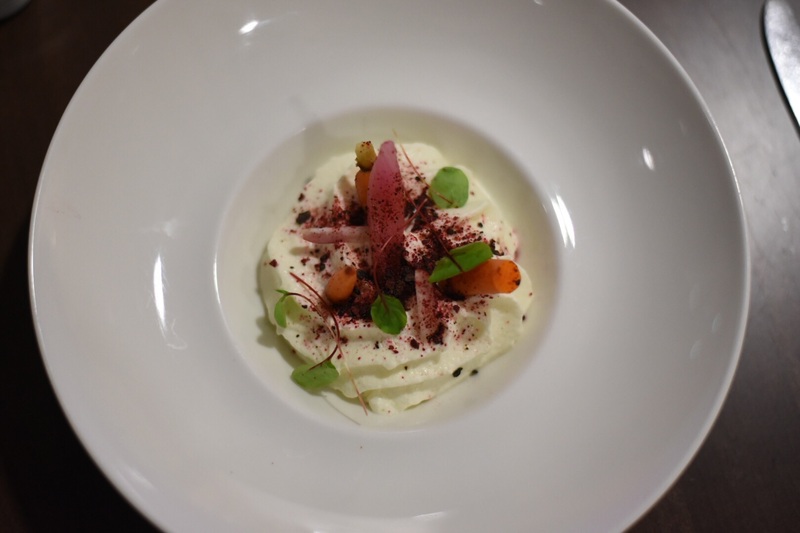 However on the positive the dish had a lightness and the vegetables had been pickled nicely. For the main course it was a toss up between the ox cheek and the gurnard for the both of us, this time we did we the reverse to the starters – I went for the fish course and my friend the meat. 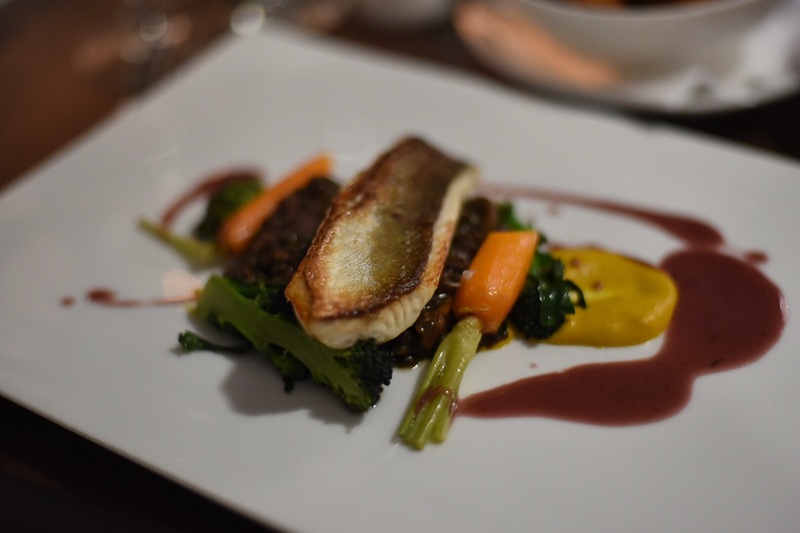 My fish was nicely cooked with its skin lightly crisped, the lentils were excellent in combination with cepes gave them a real meatiness and matched the fish well. 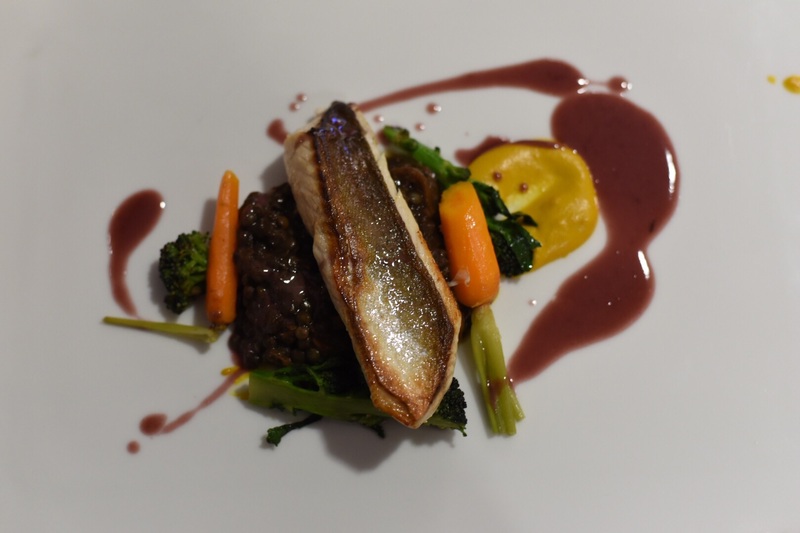 Accompanying vegetables were cooked on point and the mustard and hibiscus made for interesting partners to the dish, cutting through the richness from the lentils. It was a lovely plate of food. 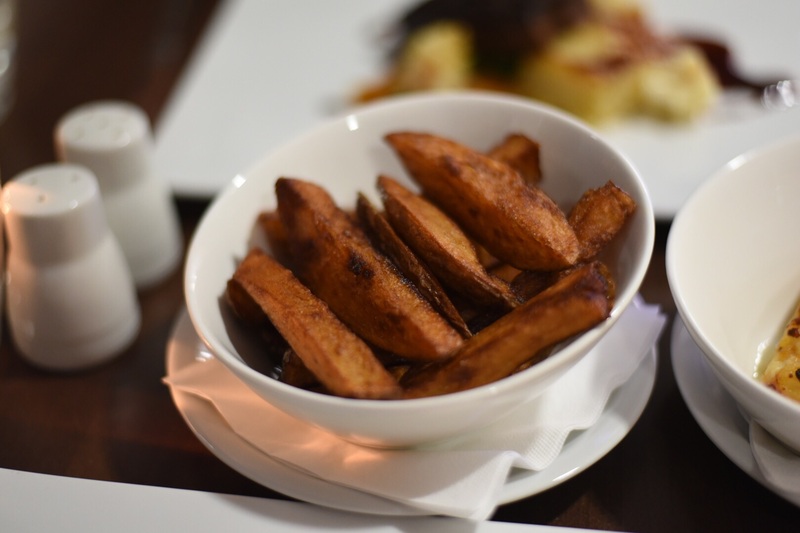 I cheekily ordered a portion of the hand cut chips as well, It was a relief to see they weren’t those ridiculous large chips you often see when hand-cut chips are seen on a menu, these were more the size you’d see from a chippy which pleased me no end! To look at they had more colour than expected, but on taste the appearance was more than deceptive as they were decent; soft on the inside but had a light crispness. 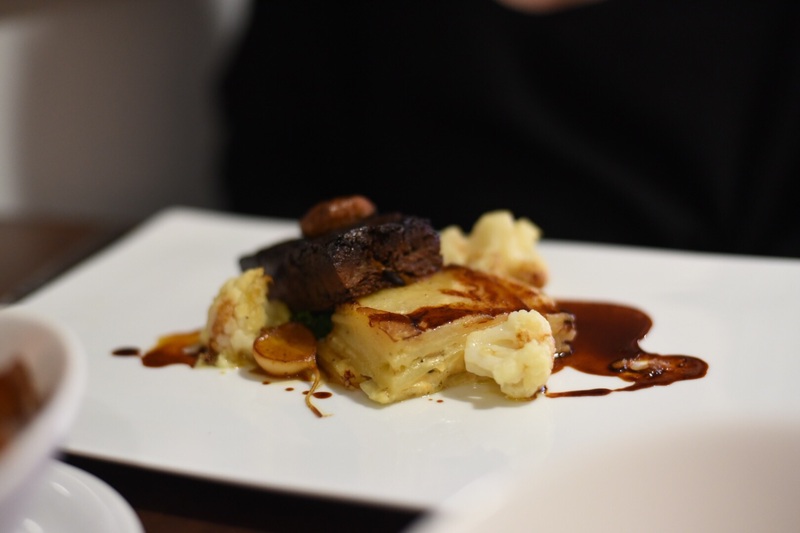 My friend was full of praise for the treacle braised ox cheek, the meat melted in the mouth and the dauphinoise potatoes were as you’d expect good ones to be; thinly sliced, soft and with enough garlic and cream to make them extremely moreish. 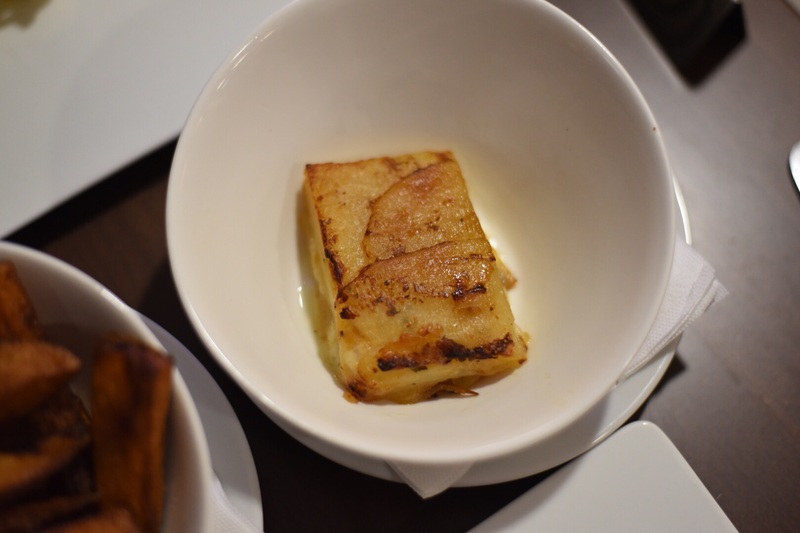 I would say for next time though, my friend only ordered dauphinoise potatoes as a separate side order because the menu didn’t point it out as part of the ox cheek dish anyway. 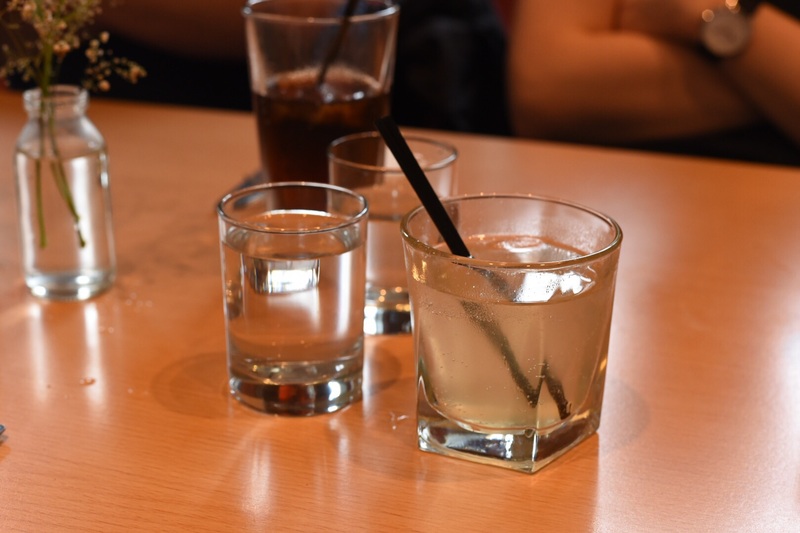 It may have been helpful for the server to have pointed them towards a different choice when ordering. So for the most part, all had gone swimmingly well, we’d been enjoying a lovely dinner and just about to contemplate ordering desserts when I turned back to the table to see my friends napkin on fire!! For whatever reason it must have gotten too close to the candle on the table, a mini panic ensued until I grabbed my glass of water and extinguished the flames. 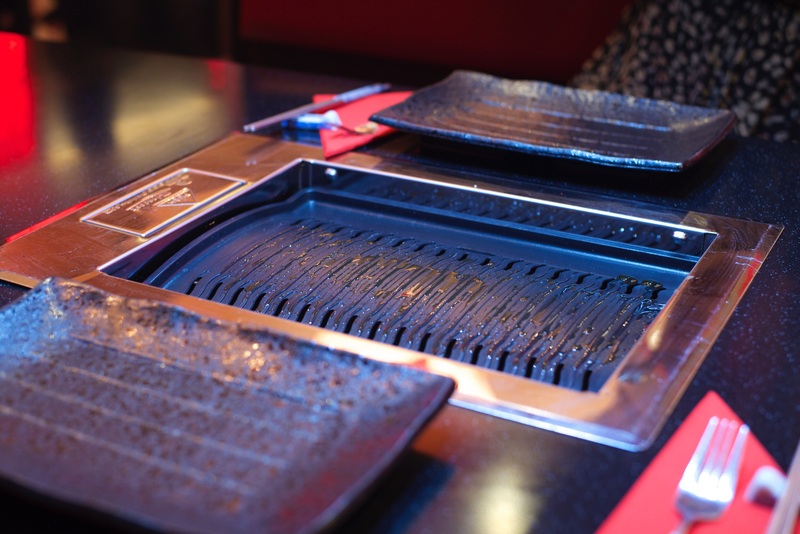 We felt so guilty, Sasha and the other staff were brilliant and helped us clear the table without any fuss so dinner could resume! 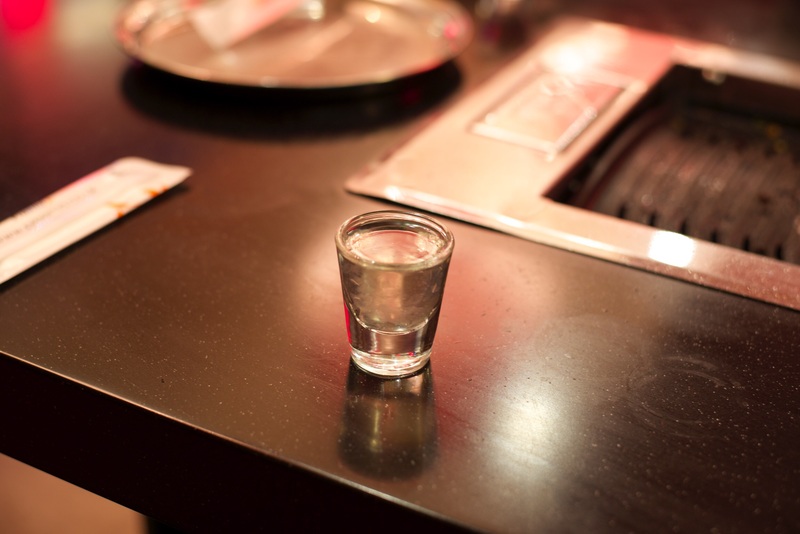 There was definitely a huge sigh of relief on our part; no-one had been hurt and the table hadn’t been damaged. 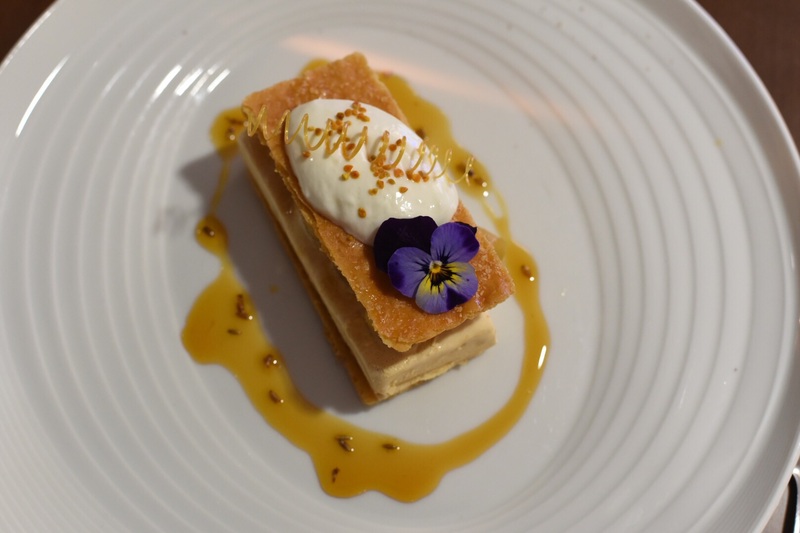 We got our breath and our composure back to choose from the dessert menu, once again we were spoilt for choice with four fantastic sounding desserts. I think my dessert looked stunning, what do you reckon? 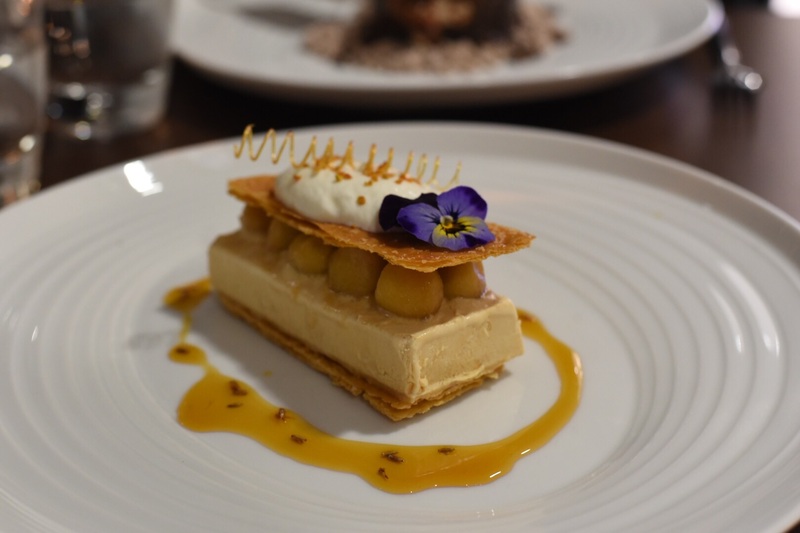 The pastry was so thin, multi-layered and crisp, I loved the combination of the toffee apples, a spot of creativity with sugar work too and use of ingredients especially with the bee pollen. A delicious dessert!! 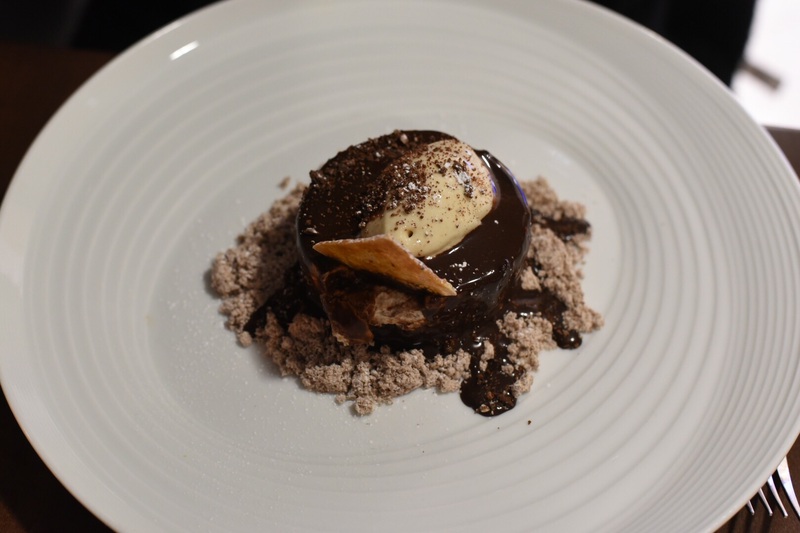 The other dessert tasted exactly like it was suppose too – the chestnut mousse was light with a delicate chestnutty taste, the horlicks sorbet was all malty and gorgeous and finally the rich, chocolatey soil had a lovely crumbly texture. 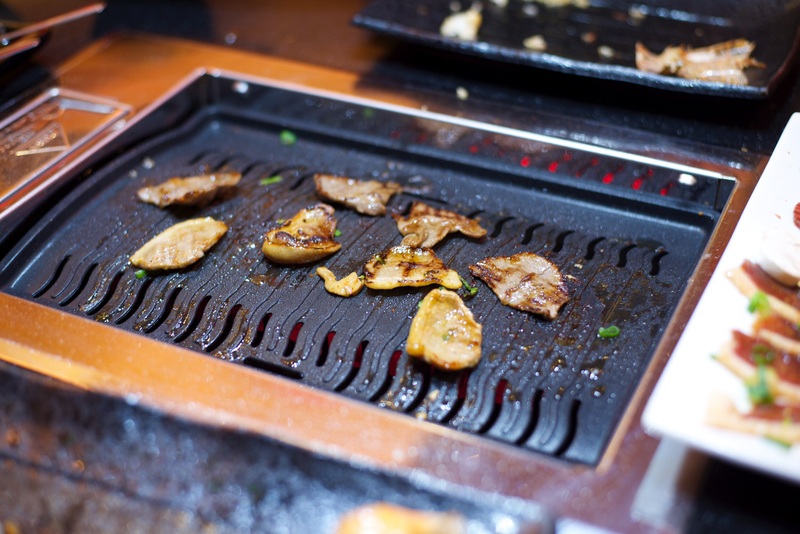 After my initial apprehensiveness over the quality of the experience we might receive, any qualms were very much quashed as not at any moment during our meal did I think that the food was cooked by a bunch of students! 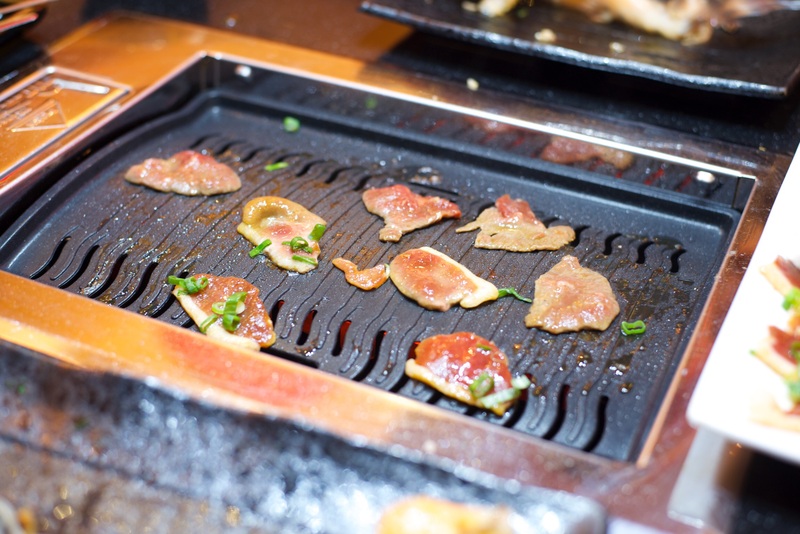 The quality was very good and the dishes and skills on show demonstrated maturity beyond their years. 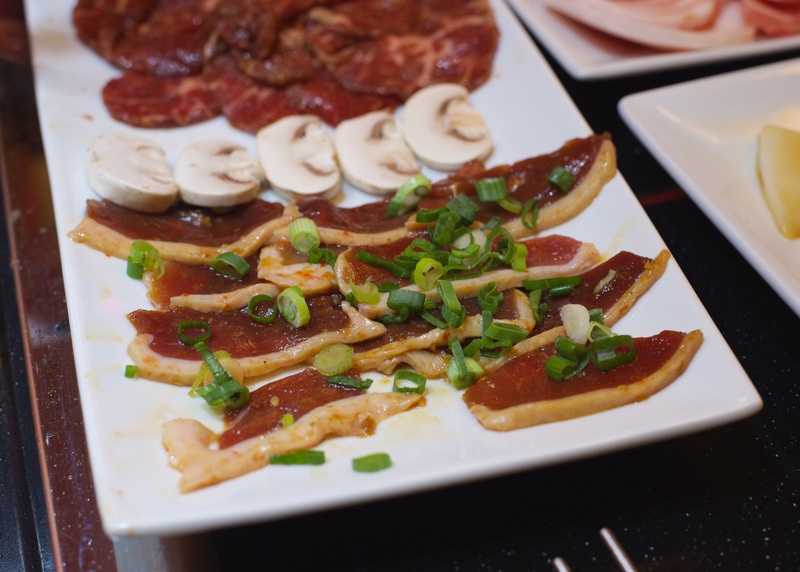 It’s definitely worth venturing to for dinner, and for the price it’s a bit of a bargain! If you’ve read my most recent post on Soya, you’ll know that apart from eating, a bit of the weekend was spent running as some friends and I had entered the Bath half marathon. Our accommodation for the weekend was a house we’d booked through AirBnB, about 10 -15 minutes walk north of the city. After the usual settling in period at the house, we walked into the centre and took in our surroundings, out of our party of five, three of us had never visited the city so it was nice to explore a little. Four of us were running and we’d all eaten an early breakfast, so by midday we were pretty ravenous, and as always carbs were the first thought on our minds. Everyone had assumed I had a list of places already researched to go, but on a rare occasion I didn’t, it was actually refreshing not to have done any work for it!! We weren’t after a posh restaurant or anything like that, but somewhere informal just to fill our stomachs and rest our legs before the big day. 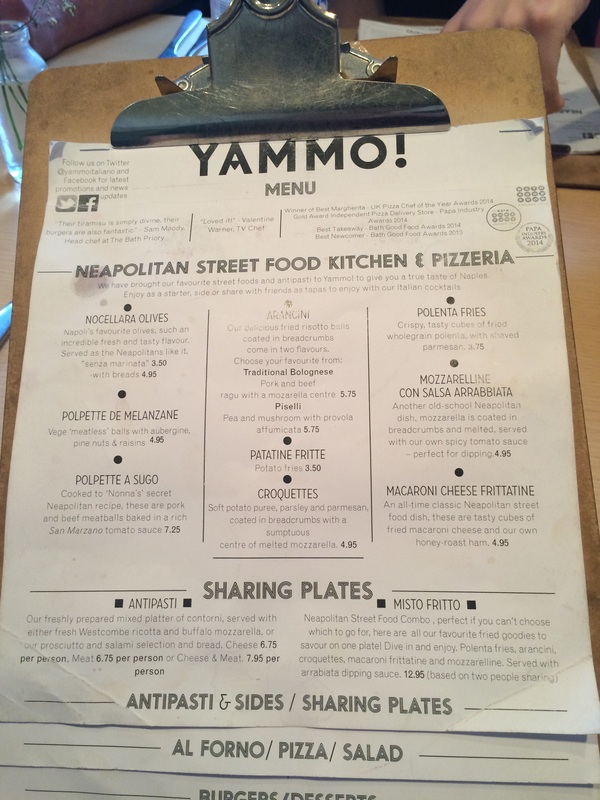 So after a quick internet search the place Yammo! 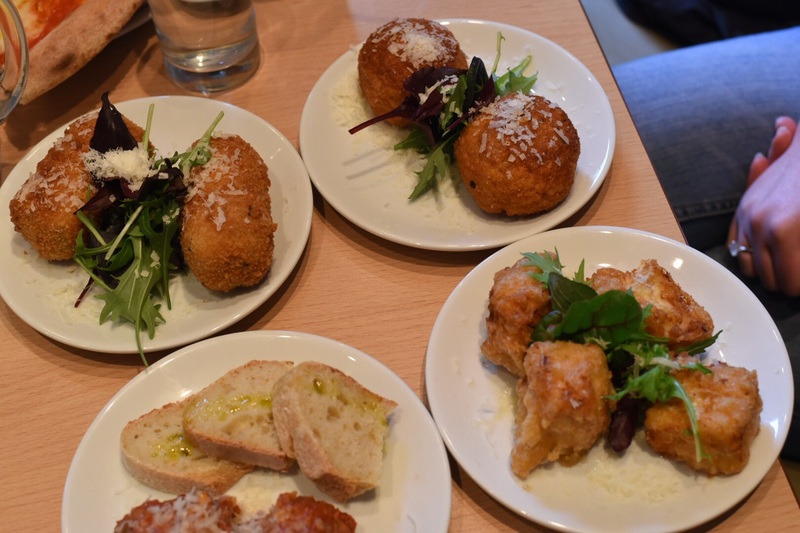 popped up, an Italian diner which advertised itself as a Neapolitan street food kitchen and pizzeria – we thought it ticked all the boxes. Located on Walcot St very close to Pulteney Bridge, the place looked quite small and with all the tables occupied it seemed we’d be out of luck, but it was our lucky day as there were a couple of free tables upstairs. 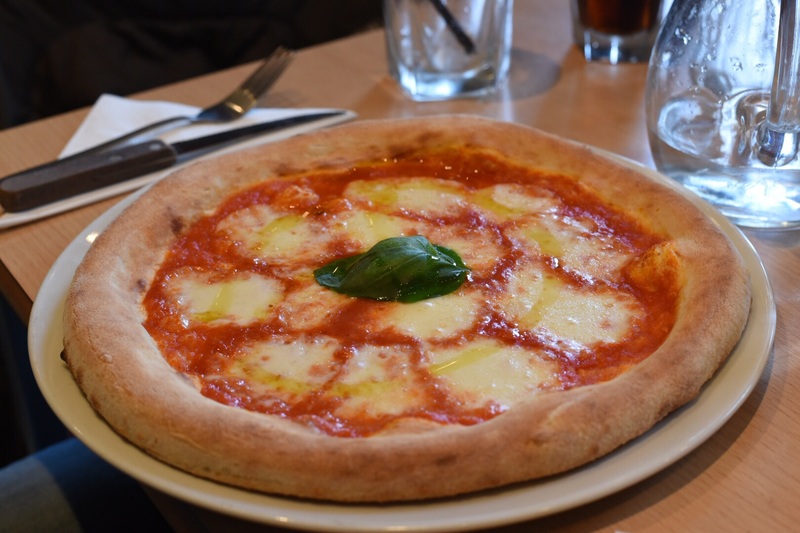 Initially unbeknownst to us the place had won awards the last couple of years; including best newcomer 2013, (Bath Good Food Awards), UK Best pizza chef 2014 for its Margherita pizza, (PAPA Industry Awards) and just a few days ago were named Best Restaurant at Bath Life Awards 2015. 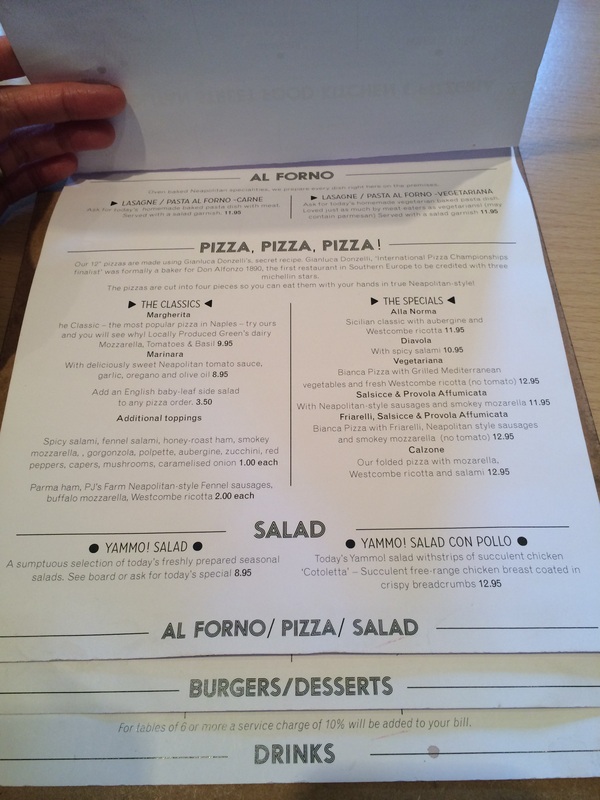 Apart from pizza the menu has lots going for it, using as many local ingredients as possible they offer a choice of dishes including small plates, antipasti and burgers. 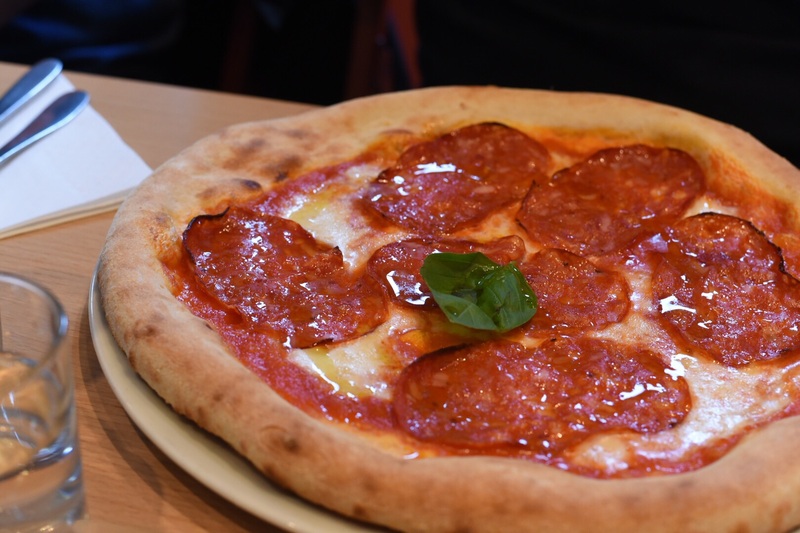 So it was no surprise that we ordered a broad selection of items, including a couple of pizzas (Margherita and a Diavola), one burger with extra salami, whilst myself and a friend wanted to share four small plates. Here are the pizzas (£9.95 and £10.95); I can’t comment on the pizzas myself, but as far as my friends there was praise aplenty for both. They weren’t the uber thinnest of bases, but it didn’t matter as the base was a tasty one with a bit of chew, their toppings were kept simple and to good effect too. 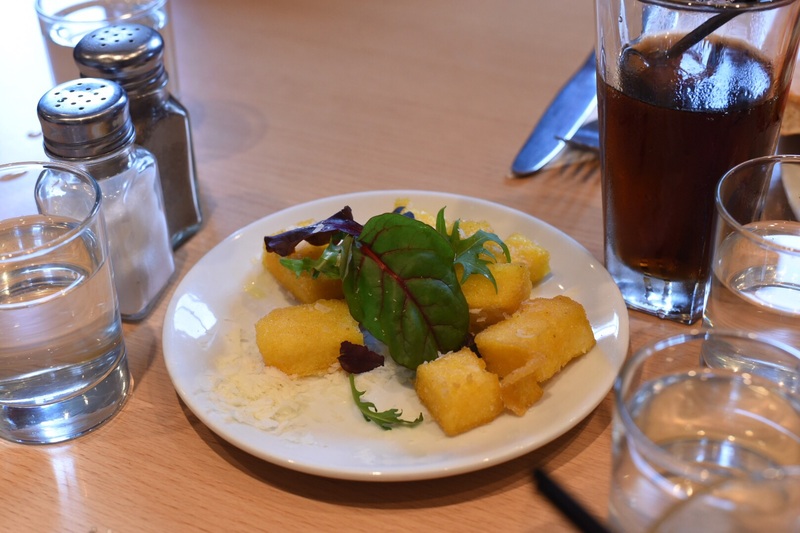 A side of crispy polenta (£3.75) were very moreish, again treated simply with some grated parmesan and a few salad leaves they were delicious. 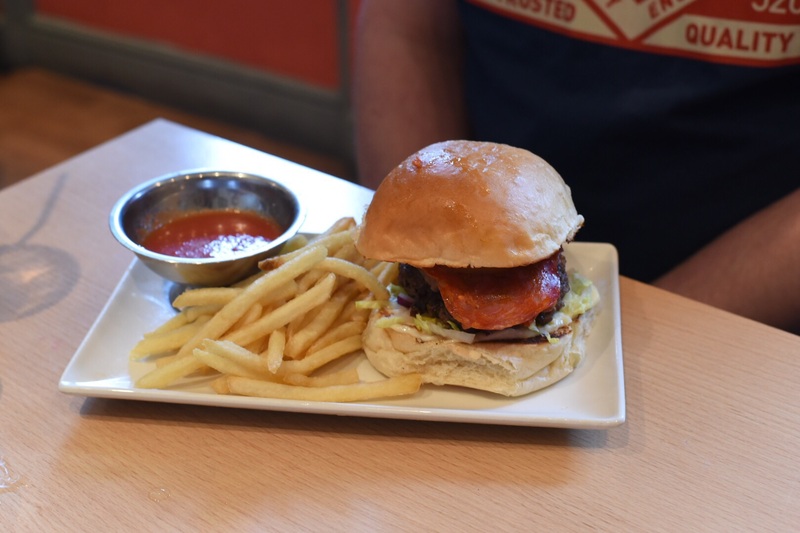 The burger (£13.95) belonged to the other half and he was pretty quiet on the other side of the table, meaning that he was happy and it was spot on I reckon! The four remaining dishes all came out at the same time, yes there was a lot of fried stuff, but most involved lots of carbs and it was exactly what we were after! 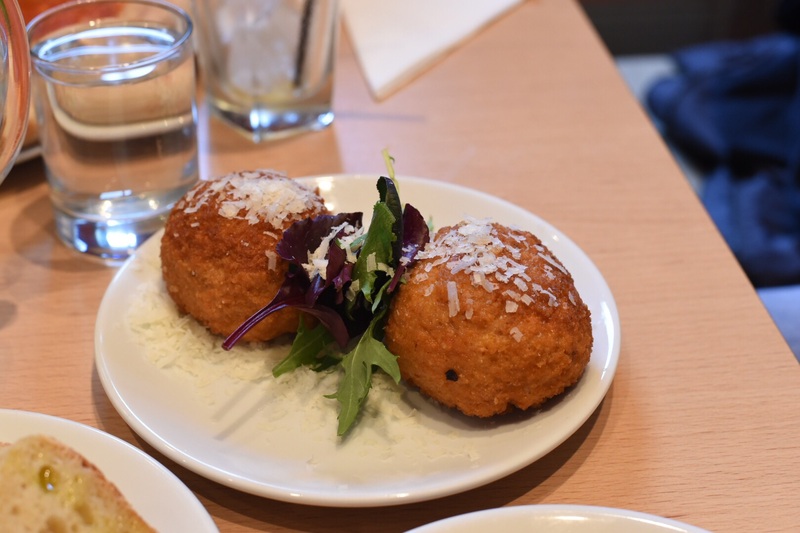 All of them were excellent, the bolognese arancini (£5.75) were massive, perfectly golden, with a tasty ragu and risotto rice that was unctuously sticky and a stretchy mozzarella cheese centre. They were so so good!! 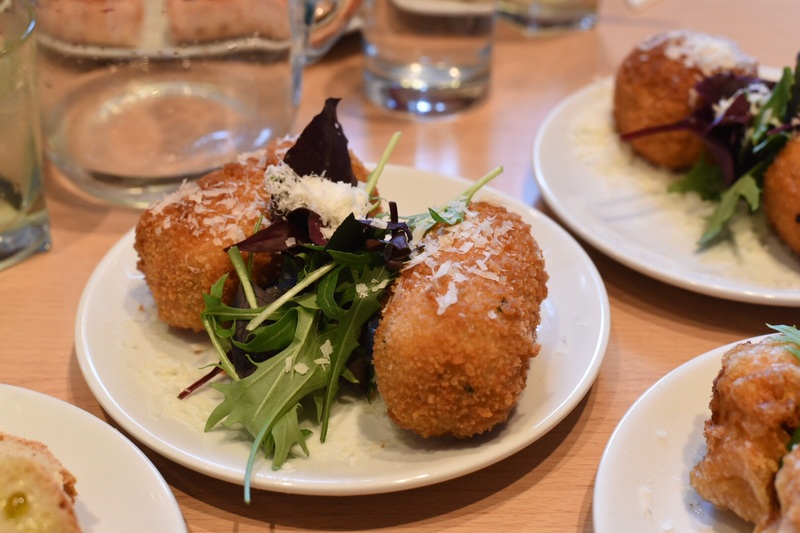 Next up the potato croquettes (£4.95), again size here wasn’t an issue, there was lots of parsley, parmesan cheese, and when cutting into them soft, stretchy mozzarella cheese was on show. 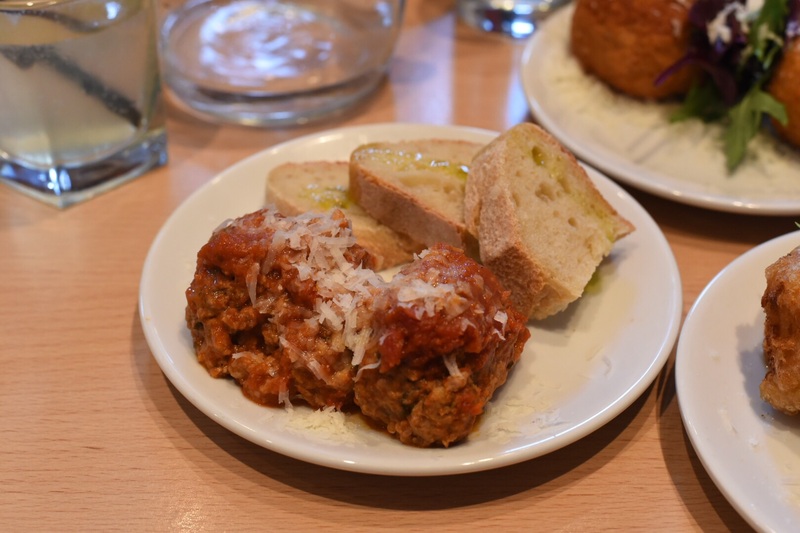 Third up the polpette a sugo (£7.25), on the menu it said they were based on ‘Nonna’s secret Neapolitan recipe, so surely they had to be good! Made with a mix of beef and pork these were perfect, soft in texture without falling apart, covered in a wonderful tomato sauce using San Marzano tomatoes. Last but by no means least the macaroni cheese frittatine (£4.95), now I’d never had it like this before, basically cubes of macaroni cheese with honey roasted ham running through it were deep-fried, so they had a golden cheese crust. Out of all of the these may have been my favourites out of four very good plates!! 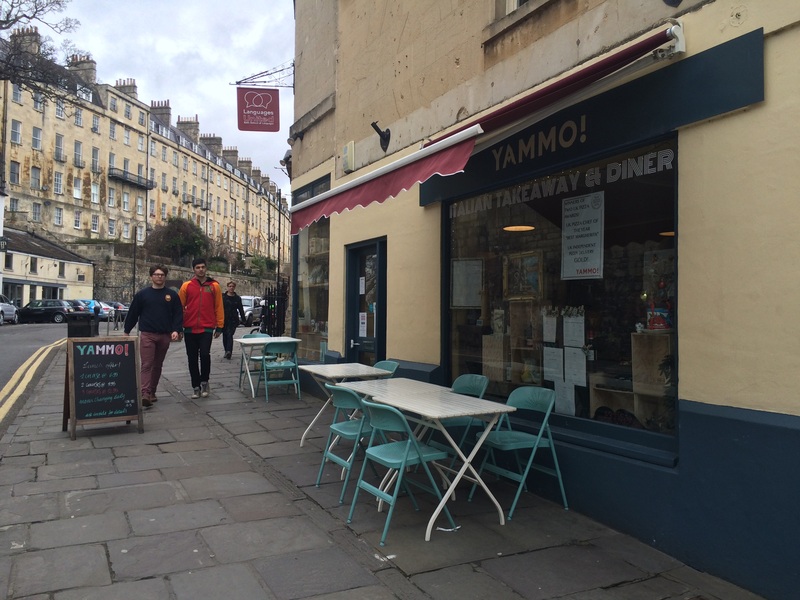 If you’re in Bath at any point, you may be a local or just visiting like I was, then Yammo! is definitely worth a try! 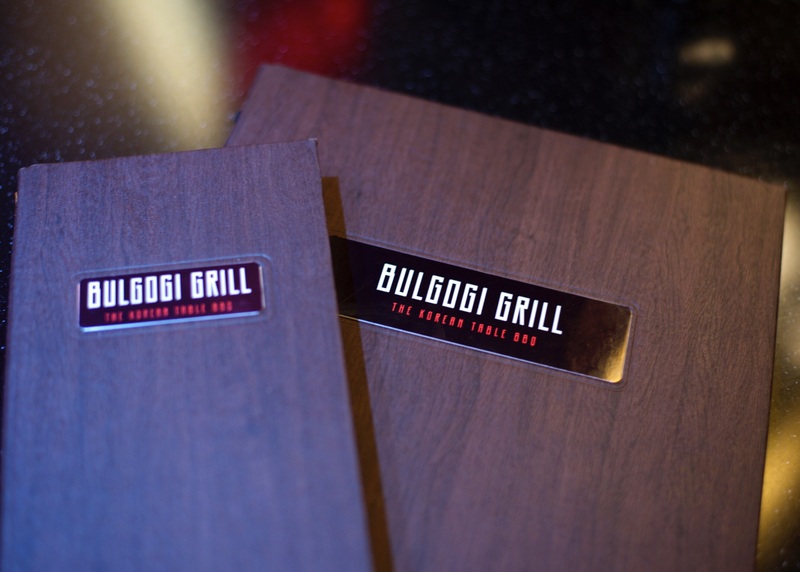 You’ll get some cracking food, decent service in informal surroundings at a reasonable price. Do you have any recommendations for Bath? 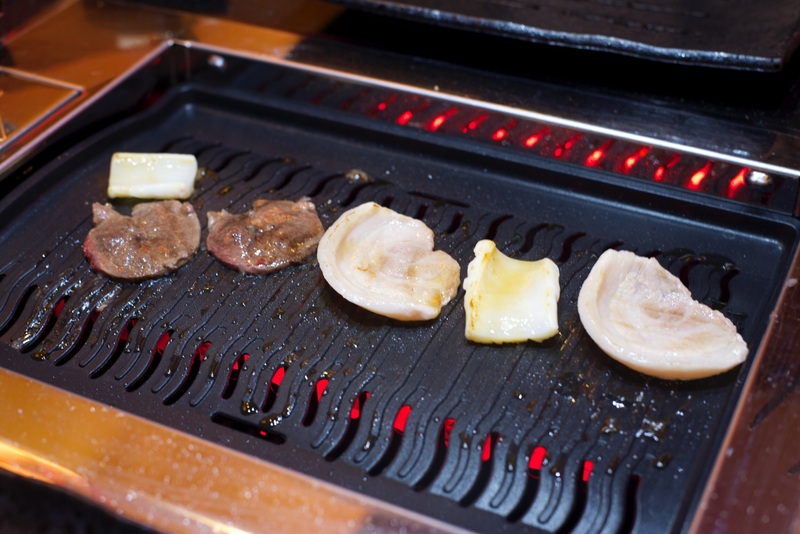 I’d love to know which eateries are your favourites!